The business world and most industries are no strangers to gender bias. Even with the advancement of women in several fields, disparity in salaries and representation exist. 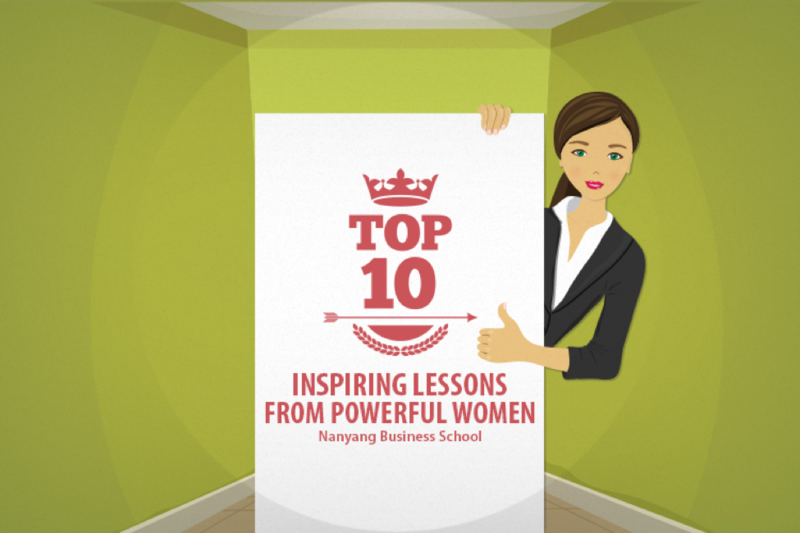 If you are one of those women who are ready to break the ‘glass ceiling’ and are looking at MBA programmes, here are some powerful role models for you. Winnie Byanyima arrived in Britain after she fled Idi Amin’s regime in Uganda. She completed her education in aeronautical engineering and returned to her homeland once Amin’s rule collapsed. She found the democratic elections hijacked. That led her to join the movement for liberation, under the Ugandan president Museveni. During her 11 years of tenure in the parliament, she championed ground-breaking gender equality laws and multi-party democracy. Later on, she headed UN task forces on gender and development and climate change issues. Now as head of Oxfam International, she is recognised as a leader who put fighting inequality on the agenda. South African entrepreneur Rapelang Rabana has been compared to Marissa Mayer of Yahoo Inc. She co-founded Yeigo, one of the world’s first mobile VoIP applications and was named one of Africa’s best young entrepreneurs by Forbes. In 2013, she launched Rekindle Learning, an online training, and education company. While Rabana promotes the role of women in business, she also keeps an eye out for new business opportunities that involve mobile technology. Kathryn Sullivan was a part of NASA’s first class of female astronauts (1978). She became the first American woman to walk in space. After three shuttle missions, she came back with a keen understanding of how dynamic the earth is, and decided to use the information to help communities become more resilient to climate change and natural disasters. She is currently the US Under Secretary of Commerce for Oceans and Atmosphere. Her job involves using data from space to understand the climate. Leaving an urban lifestyle for a life in farming in a drought prone area wasn’t easy. Indian Chetna Sinha did just that. Her time spent with women working in the fields exposed her to their daily troubles – from financial hardship to being ignored as prospective businesswomen. This resulted in the creation of India’s first rural cooperative bank owned by a woman. Chetna’s Mann Deshi Mahila Bank assists rural women who wish to acquire micro loans. Following the bank, Chetna set up a toll-free hotline that is linked to India’s Chamber of Commerce so that the women could get advice first-hand. When Beth Mooney became a secretary at a local bank, she could have sat back and been happy with her decent salary and job. Instead, she took a chance to get something better for herself. She visited big banks in her city and asked to be enrolled in their management training programmes. It finally happened after she spent a few hours refusing to leave a bank manager’s office until he relented. They made a deal: she’d get into the programme if she simultaneously studied for an MBA degree. She did. Now she is the Chairman and CEO of KeyCorp and the first woman ever to lead a top-ranking bank in America. Cher Wang is a business tycoon’s daughter, so her entrepreneurial ambitions were not a surprise. She co-founded VIA Technologies, a manufacturer of motherboard chips, CPUs and memory. Her mind was on creating handheld computers, which she did soon after at her new venture HTC (High Technology Company). The company started with notebook computers and some of the first touch and wireless handheld devices. Wang has even been on the global Forbes list but can be seen wearing simple clothes and travelling by economy class. She also supports free education. She lives simply but thinks big. Oprah Winfrey’s success story is a rags-to-riches one. She’s the first African American female billionaire and she had spent her initial years in poverty. She also faced racial discrimination but came out with flying colours because of her determination. When the other kids were busy hanging out with friends or watching TV, Winfrey was working part-time hours as a radio anchor. Then she worked her way up to local TV news and then to a morning talk show, which later became her own – The Oprah Winfrey Show. That shows you that humble beginnings can’t stop you from chasing your goals. Being a well-known international journalist for decades long means that people from different generations recognise you. Christiane Amanpour is widely known for her influence in the media and her penchant for reporting from dangerous situations such as the Gulf War in the 90s and other war-torn regions. Amanpour has covered conflicts all over the world. Amanpour has also interviewed world leaders in times of controversy but has kept her approach honest and calm. What makes her reporting stand out from the rest is the boldness and honesty. She is a role model for any women in a risky job with her strength and courage. Author JK Rowling is one of the world’s most successful authors. She wrote the first Harry Potter manuscript and sent it out to all the publishers. Rejections filled her inbox/mailbox, which she even shared on social media recently, so that other aspiring writers don’t let rejections drag themselves down. Rowling could have stopped. Many writers do. But she didn’t, until she was published. Now she has many published books and is the first person in the world to become a billionaire just from writing books. In other words, never give up. Chua Sock Koong is the head of Singapore’s largest telecom provider Singtel. Her story is one of another climb up the corporate ladder from the position of Treasurer to CFO, and then to Group CEO. Even as CFO, Chua was responsible for all the financial functions at the company and industry publications praised her for her broad exposure across all areas of the business. In addition, she played a major role in SingTel’s acquisitions, divestments, and partnerships. So there is a lot to her credit and it was all about taking her career one step at a time. 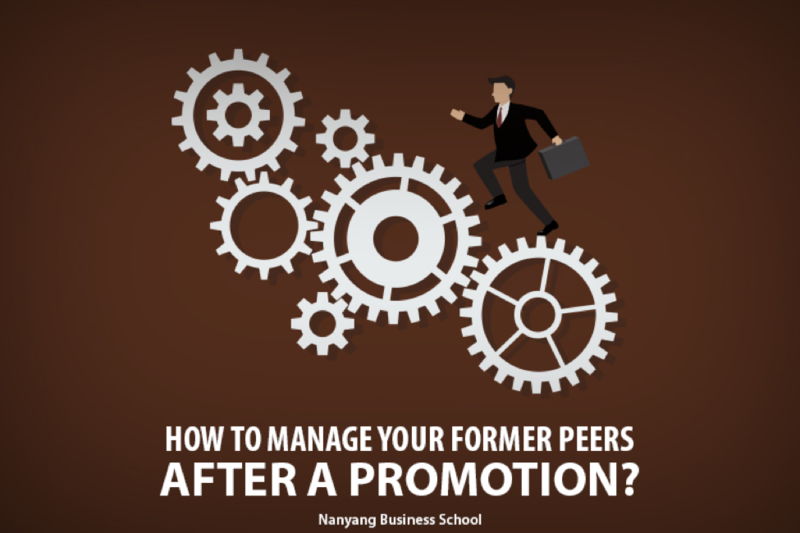 How to Manage your Former Peers After a Promotion? Being promoted to a new leadership role is a definitely a good reason to celebrate. But it is also a transition that requires adapting to a new behaviour along with other changes, especially with your former peers. It is possible that a former peer may resent you for getting the promotion that he or she wanted so badly. It is also likely that these colleagues will feel some amount of frustration and animosity as they report to you. So how do you deal with the situation without stressing yourself out? It’s never too early to establish credibility with your colleagues at every corporate level, including your immediate peers. That will save you lots of trouble later on because people will know what to expect from you in terms of planning, decision-making, and communication. So rather than attempting a rapid change, focus on building a character of integrity and authenticity as soon as possible. Be consistent with your work ethics and management style. For instance, don’t believe that your ex-peers will ever forget a habit of long coffee breaks or nasty gossip sessions. While you certainly need to specify your new role to the peers who will now be reporting to you, be careful about how you convey the information. Your tone of voice, facial expression, and body language shouldn’t portray the ‘I’m cooler than you now’ attitude. Just let them know that things have changed and that they will now be reporting to you. If it is possible, ask your company corporate communications team or a relevant senior to make an official announcement on your behalf. That could make things smoother. Some people you work with may have become close friends whom you like to spend time with outside office hours too. To handle the delicate situation, have a one-on-one chat with him or her. Be honest about how the relationship will be changing. Talk about your new responsibilities, but let the friend share his or her thoughts on it too. For example, you could ask them what kind of changes they foresee in the way they work now. Make it clear that you are there to provide support and loyalty and hope for reciprocation. Most importantly, mention that you don’t believe in giving friends special treatment at work. Earlier, your daily life in the office must have been different. Other people, having regular conversations of a particular nature, and more personal with these peers, surrounded you. In fact, you may have even spoken negatively about your boss whom you will work with more closely after the promotion. Don’t be rude. Don’t ignore them. Be there for them when they need you, in case of family emergencies or illness or the like, but keep it to important things and waste less time on small talk. It’ll be hard but necessary to help you fit into your new role. It’s time to get better acquainted with your new peer group. Go for a lunch or coffee. Ask intelligent, pertinent questions about the department and projects. If something is completely new to you, like end of year performance reviews, ask about those. Still, keep the tone casual and include light personal conversation too such as favourite sports or hobbies. Fortunately, top business schools recognise the need to highlight these leadership role changes in their curriculum. The Nanyang Fellows MBA offers a course on Transformative Leadership that teaches you to deal with obstacles in leadership roles such as this. So look at the big picture and enjoy the transition – it’s a learning process! Contrary to the general assumption, making the shift from a technical or functional role to a general management role can be smooth with the right approach. While an MBA for experienced professionals like yourself can help prepare you for the transition, your success also depends on how you adapt to the leadership role. When you were in a functional area, your decisions affected your work and your immediate team usually. 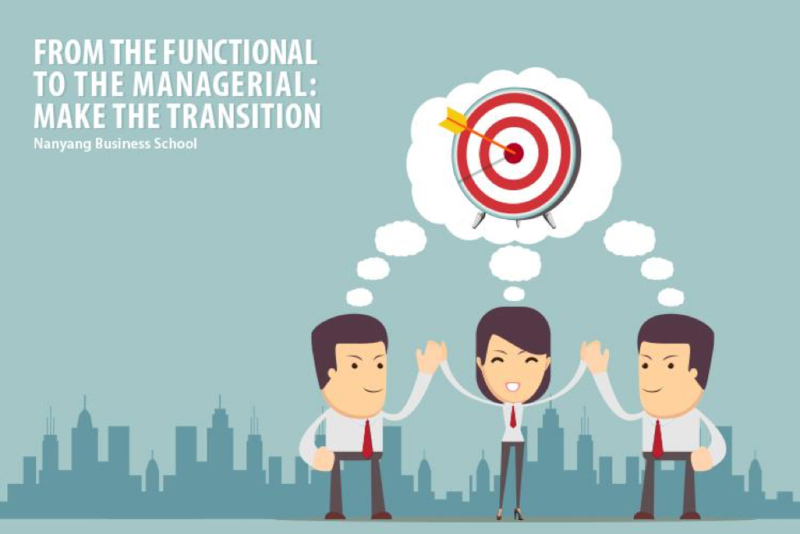 But in a managerial role, what you decide may not always appear to be in the best interest of each functional area in your organisation. This is because you’ll be considering the big picture. So, keep things fair and work on building a climate of trust with your employees. Let them know that you are ready to listen to inputs and constructive feedback and make sure you practice it too. On the other hand, if you notice that a worker is trying to ruin the work culture by creating conflicts in the team, take action before things get difficult. Being in a managerial role requires you to prioritise every area of the business that you are looking after. You need to adapt quickly and be open to developing new perspectives – even if it is in the functional area earned you the promotion. That means that you cannot let your expertise cloud over reason and new trends. Don’t make assumptions based on your past. Go with the flow every time you get an opportunity to learn in your new position. Revenue is important for the business. Making an impact with each project or task used to be at the top of your priority list. Now, the correct approach is to look at the long term too. Pay attention to the long-term effects of your actions on the entire business. You need to emphasise on long-term success factors such as integrity, good work habits, and client relationship. Once your employees understand that, you are focused on the organisation-wide impact of everything that you and they do, they will be a lot more cooperative, and in turn, team efficiency will significantly improve. During any decision-making, remember that business doesn’t exist without its customers. Competitive advantage is the key to surviving in your space, so you should address a customer-driven, efficiency-oriented strategy as you aim to gain and retain that competitive advantage. Revenue and customers go hand-in-hand. Even in the top ranks of a company, teamwork cannot be overlooked. As a manager, you are expected to promote an environment of mutual respect, ethics, and common goals. Are your employees communicating as well as you’d like them to? You need to be observant. A team that functions well is productive and is essential for the organisation’s success. Experts suggest holding team-building activities regularly – such as joint visits to charitable institutions or group sports. So be willing to lead, open to new experiences and dedicated to value creation. Be ready to understand employees, while facilitating a healthy environment to achieve long-term goals. It is challenging but not impossible once you are armed with an elite MBA degree and all the skills and experiences that come with it. See the entire list of benefits that you can expect if you attend the Nanyang Fellows MBA programme. Every business leader needs to stay up-to-date with the economics world. While academic journals on the subject are abundant, blogs have taken over. You’ll find top economists, academics and the like offering valuable analysis and arguments that you should be reading. Here are some blogs you need to check out. This blog is called Grasping Reality. It is run by the well-known financial economist and economic historian Brad DeLong, who is associated with the University of California at Berkeley. He was one of the first bloggers in this field and combines the political-polemic style of Blogosphere 1.0 with many links to expand on his points. Paul Robin Krugman is an American economist. In 2008, he was awarded the Nobel Memorial Prize in Economic Sciences for his contributions to New Trade Theory and New Economic Geography. He writes on a wide range of economic issues including international economics, macroeconomics, income distribution and taxation. Krugman considers himself a modern liberal and expresses strong political views as well. Tony Yates is a professor in the UK. Previously, he spent two decades working with the Bank of England. He has a reputation for witty commentary and being brutally honest whether it is aimed at market monetarist bloggers, heterodox economists or those opposing central banks. You’ll find lots on monetary policy and macro on the blog too. This blog by Simon Wren-Lewis is for both economists and non-economists. A professor of Economic Policy at Oxford University, he can keep you well informed with debates on macroeconomic methodology. His posts are long and detailed; so settle down with some coffee. A Fine Theorem is a summary of economics research conducted by Kevin Bryan, an Assistant Professor of Strategy at the University of Toronto Rotman School of Management. His interests lie in the fields of innovation, micro theory and philosophy/methodology but his posts cover much more than that. For those of you who are research-oriented in your approach, this blog is perfect. This Wall Street Journal blog keeps up with trends. You’ll find honest insights and analysis that you can relate to both everyday life and the industry. For example, one of the latest posts discusses how more young adults are living with their parents even though this isn’t a recession period. Although Mish Shedlock is an investment advisor based in the United States, he is an expert at getting the facts and stories from all over the globe. You’ll find everything from the French elections to the economics of Black Friday. David Beckworth is on the faculty at West Kentucky University (USA) and an adjunct scholar at the Cato Institute. He’s also a former economist at the US Department of Treasury. He has done research on the assessment of monetary policy, the transmission mechanisms through which it works and its impact on economies. When you follow his blog, you’ll find posts about most countries and continents. You have probably read the book, Freakonomics: A Rogue Economist Explores the Hidden Side of Everything by Steven Levitt, an economist at the University of Chicago, and Stephen Dubner, a journalist. Well, the authors created a blog soon after to keep the conversation going that started with their book. 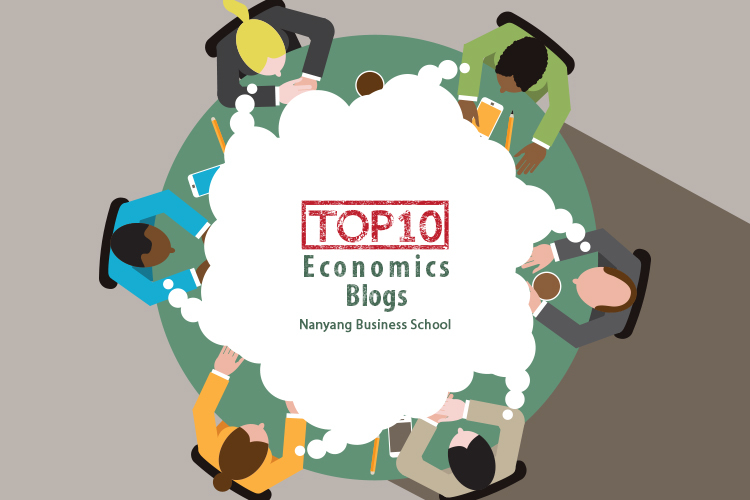 This blog stands out for its cool news and fun way of looking at economics. You’ll find plenty of podcasts too. This website brings you multiple blogs in one. It offers policy advice and economic analysis contributed by a group of American economists, legal scholars, academics and financial market specialists. They created the blog to focus on the serious challenges facing the global economy after the financial crisis in 2007. You’ll find articles that elaborate on the causes of economic issues as well as suggestions for policymakers. It’s a great site to get many perspectives. Take advantage of these great resources. The sphere of economics is a fascinating world. Which are your must-visit blogs? Don’t forget to share your favourites in the comments below. Today’s customers are more demanding than ever before. Being connected 24/7 (through mobile devices and the Internet) makes them impatient for responses to things they want or have a problem with. Successful businesses find out how to meet customer expectations and demands without any delays in communication. Social media is an important tool. How you handle it can make or break your business. Here are some things to keep in mind. Facebook, Twitter, Pinterest and all the other popular social media sites out there are full of opportunities. You have to grab your target audience’s attention in that vast sea of users, while building your brand’s image as well. Just creating a detailed profile is never enough – you have to keep things moving. Nobody likes coming back to a static page or inactive account. Plus, creative advertising is a must. Podcasts, apps, Facebook pages, Twitter handles and the like, have to attract customers to your brand and retain them. Social media is developing fast. People are sharing their thoughts, views and daily activities with everyone they know and sometimes don’t know. A single Like on Facebook or a single retweet on Twitter can start amplifying your message rapidly. And people like knowing what others they are following think of products and brands. While product or service reviews can create an impact via word of mouth online, carefully placed online ads can work wonders too. Customers can even get news of product trial offers and sales, which they can spread the word on. Customers these days don’t have to worry about contacting the consumer forum when they have an issue with a company. Instead, they just type out a tweet or post and tag the organisation involved. If customer service is effective, somebody from the company will respond that day and get contact details from the individual and proceed to solve the problem. In the cases of companies neglecting their social media presence, the lack of a timely response can lead to a disaster. Walking into a shop, standing in line or waiting on the phone for a customer services representative is a thing of the past. Customers don’t just want to be heard- they want quick solutions from you. If you can’t stay up to mark with your social media network, you’ll lose them. Remember that even positive feedback should be acknowledged because it’s all about building relationships with your customers and not a one-sided broadcast of marketing messages. There are all kinds of users on social media, so you have to choose your target group well. That translates to interacting with people relevant to your business or product and not just customers or prospective customers. For example, if your business is a part of the beauty industry, you could follow and interact with well-known models and actresses online. These are the influencers who can help spread your brand name. Remember to build the conversation first. Consumers associate faces with brands, so you need to make sure that the influencers represent the characteristics of your brand. Businesses that understand social media and its impact know that being active on it is NOT about constantly promoting themselves. Prospects, current customers and employees present on the sites expect collaboration and the formation of long-lasting relationships. You need a strategic approach that involves engaging quickly and helpfully with your target group. Make sure that your strategy includes a flexible business model that focuses on automation, leveraging social media like cloud services and adapting to real-time customer communication. The marketing department started out being the place for social media tools. 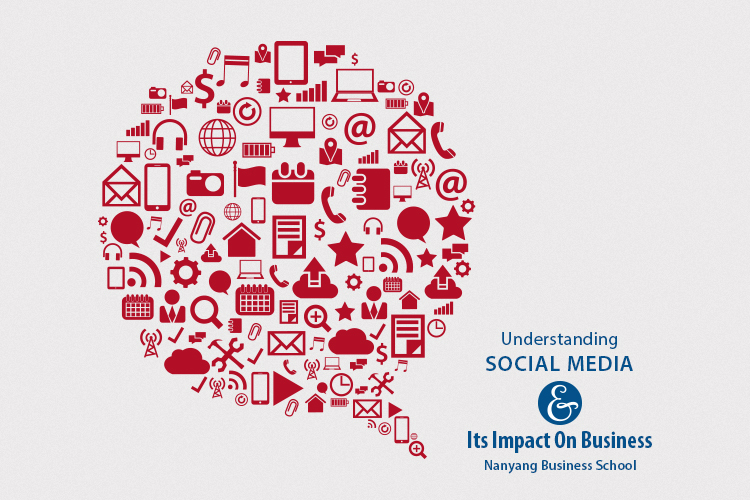 But now organisations are integrating social media into other areas like sales, service and product development too. Once you learn how to make the most of social media in every aspect of your business, you’ll see an overall positive impact on your brand. So how can these non-marketing departments use social media to affect a change? Teambuilding, bringing customer ideas together for better products, and designing better software for the office, to name a few. Times have changed. Typical employee benefits no longer set apart organisations as they used to. Smart managers have realised that they need to invest more wisely to retain their employees. Continually interviewing and hiring and losing well-trained employees is not a sustainable process. Here are some ways to keep your employees loyal and motivated. Every employee offers something unique to the company. As they work with your clients and build their credibility, they become more valuable. You can do your bit and educate them on using social media sites like LinkedIn and Twitter effectively. Guide them on increasing their web presence. Encouraging them to invest in their personal brands is as important as investing in the organisation. If customers know and respect each employee, they will develop a relationship of trust with them and hence, the company. Time is money. So you need to devote a sufficient amount of it to your employees if you want success for your company. A big reason why employees quit their jobs is a lack of career progression. You need to ensure that they know that it won’t be a problem with you. Take them out for casual lunches where you can get to know more about how things are going at work and what could be changed to align their roles with their goals. Keep an eye out for career development opportunities for every employee that you manage. Invest in business trips and conferences that relate to their area of work so that they can pick up new contacts and the latest information. The idea is to keep a focus on the big picture while keeping every employee’s career development needs in mind. An employee who is not in a good physical or mental health will not function properly at work. How about investing in a gym or reimbursing them for their gym memberships? Allow work breaks since research has shown that most humans can concentrate for periods of 20 to 90 minutes only. If you don’t like the idea of breaks, your employees will probably take them anyway by doing things like checking their personal emails or texting. It’ll be more conducive to their health to let them walk around, stretch and have a quick chat with colleagues. Some companies even invest in group initiatives such as marathons and feel-good activities like visits to a local charity in order to boost the team spirit. And stay alert on mental health issues because anxiety, depression and other illnesses can affect performance and harm people in the long run. A lot of companies invest in counselling services. Plus, if you think somebody genuinely needs a break, give it to them. Once you know your employees’ goals, you can help them get there. Sponsoring or subsidising graduate school expenses or a certification programme can result in employee happiness and more skills on your team. You’ll already be investing a lot in on-site training but educational goals can be met simultaneously if you can work out a schedule. Another perk of sponsoring employee education is that they’ll remember the favour and add new value to your business. So invest well. Avoid emotional and financial damage by retaining good employees. Give them the responsibility and be there for them. Here’s why the Overseas Business Study Mission (BSM) is a valuable component of the Fellows journey. Even though NBS faculty come from all over the world and every key industry, there’s a big difference between what you learn in the classroom and what you learn when you are thrown out of your regular comfort zone. The objective of being a part of the Fellows MBA is to gain a broad knowledge of both Asian and global business practices. On your BSM, you will get to apply whatever you’ve learnt to a foreign business scenario. Exposure to a new culture, society, politics and business dynamics will help you pack your dissertation with unique real-world knowledge. Before you head off to your BSM, you and your faculty advisors will decide on a specific topic or issue to cover in your selected location. It will certainly be a subject that interests you and pertains to your career goals. When you reach your destination, you’ll study the relevant segments of business and industry there, including corporate and government entities. Topics for the case studies sometimes involve investigating and reporting on a potential new business or geographical area. The best way to gain insights is to let your critical thinking, understanding and appreciation of the fresh environment combine with what you’ve learnt from your coursework. Fellows candidates in the past have travelled to the Silicon Valley, New York, London, San Francisco, Athens, Toronto, Tokyo, Bangalore, Dublin, Brussels, Munich, Cambridge, Helsinki, Hong Kong, Shenzhen, Sydney, Berlin and Copenhagen. The BSM encourages independent research with an open mind and the analytical skills that you have acquired over the years at work and at NBS. You’ll need to spend your month wisely and speak to consumers, suppliers, company executives and others to get your data. Prior to completing the BSM programme, you will also be expected to present a written report to the company that you’d be working with there. 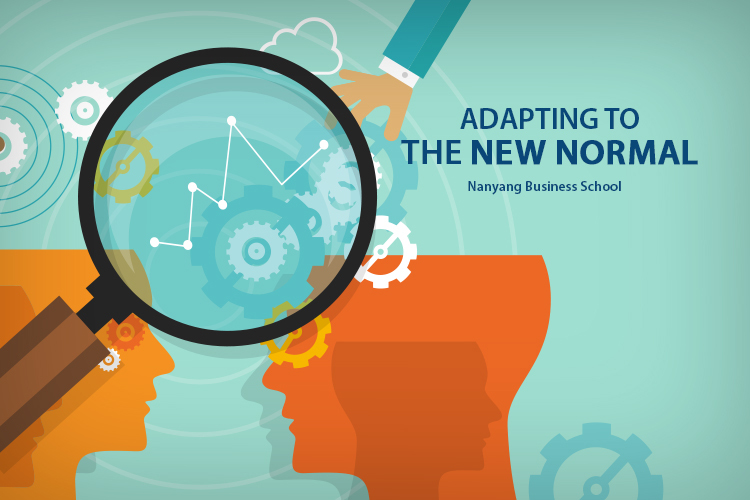 If you take a look at the Nanyang Fellows website, it will be clear that the course modules are challenging and go deep into every possible area that future business leaders should excel at. Still, we believe in giving our students an extra edge – hence, the carefully tailored BSM. Challenge your current understanding of the world. Aim for greater insight into cultures, technology, people and global economics. Look at every aspect holistically. That’s what true leaders do! Once you’ve completed your undergraduate education, a master’s degree or a job seems to be the logical path. But what about the next step, or rather leap, after some years in the workforce? A quick look around you would tell you that there are a number of MBA programmes on offer and that prospective employers love the MBA degree. But at this stage of your career, you can’t just apply to any MBA programme that you see – no matter how reputable the B-school is. What you need to do is choose a programme that is designed especially for candidates who have years of work experience. Here’s why such a programme is worth applying to. 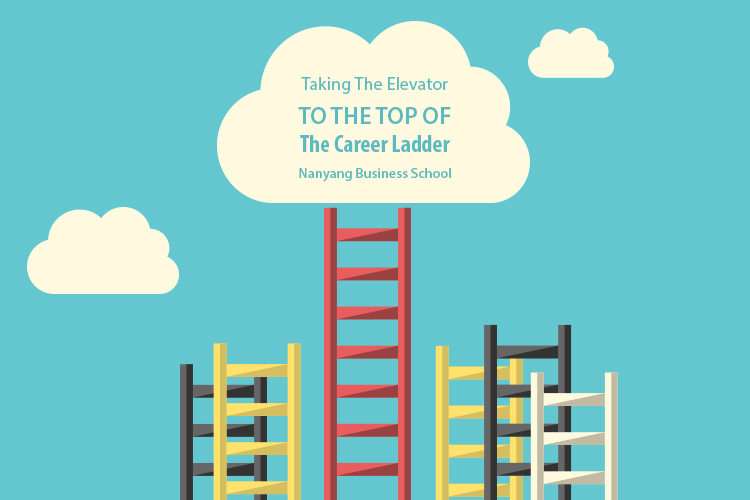 When you consider a specialised programme such as the Nanyang Fellows MBA programme, you’ll find out that it is a great fit for exceptional mid-career executives like yourself. In fact, the minimum work experience in this group of students is about eight years. Think about the varied work experiences that each student will bring to the classroom, as opposed to the average MBA programme where you and your classmates will barely have any career experience to share or benefit from. Imagine how much you’ve learnt every year on the job, in your field. While many MBA programmes like to include a study abroad component in their curriculum, it is important to understand how differently you’ll use the time abroad when you have all those years on your resume. Somebody who has spent more time working in the corporate or non profit world will let the Fellows programme Overseas Business Study Mission in the United States push him/her toward greater success as a global, C-level executive. The current career path would have already involved travel and building communication with global offices, but this is a major step up from that because you’d be going equipped with new skills and knowledge acquired from your courses. Students admitted to the Fellows MBA programme study a range of topics including business negotiation, contemporary economic analysis and cultural intelligence. Instead of focusing on too much theory, the faculty aims to prepare you for the real world. This means that you will get the chance to have professors from both the academic arena and the industry, who can certainly become your mentors during the course. Your interaction with them will bring your closer to major companies in Singapore and abroad and give you an in-depth peak into how things work as you go higher up the company hierarchy. The Fellows programme is very selective. We invest a lot of time and effort to make sure that every candidate is a good fit for the programme. When we are done with the selection process, we end up with a small, exclusive group of about 25 students. That basically translates to lots of attention and interaction for you. 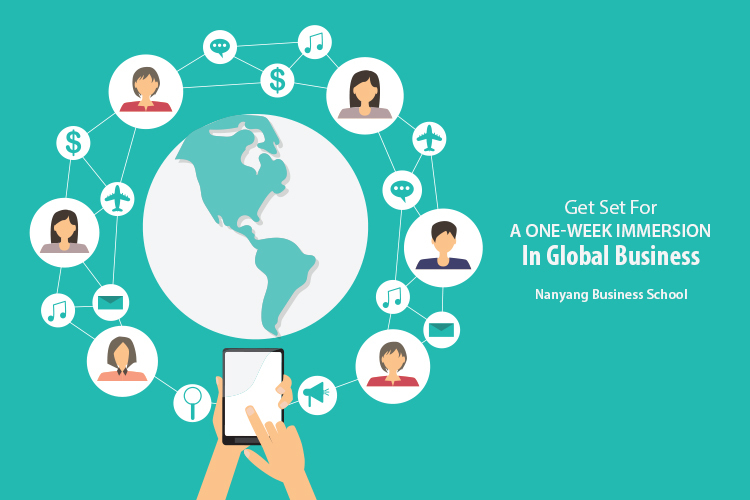 The Nanyang Business School’s alumni come from all over the world and they do not hesitate to reach out to each other. Whether they organise events, come down for a talk or talk to you one-on-one, they are available and well accomplished in their fields. Even after you graduate from the programme, you’ll find yourself with help, advice and friends from the network. And then you will be surprised when the future students start looking up to you too. Does all this sound like the right key to get your elevator to the top? Then why not explore some more here: http://www.nbs.ntu.edu.sg/Graduate/Nanyang_Fellows_MBA/Pages/FAQs.aspx? Leadership is an art that you have to learn. Your formal education and years of work experience teach you how to be a leader. An MBA brings you even closer to your goals. Simultaneously, you will be meeting individuals who may become your mentors. There is yet another source of inspiration and motivation that will guide you toward your goals – leadership experts in the online space. Following a top business executive’s blog can make a big difference to the way you think and apply what you are learning in the classroom. This leadership coach is based in Canada but known for his work all over the globe. 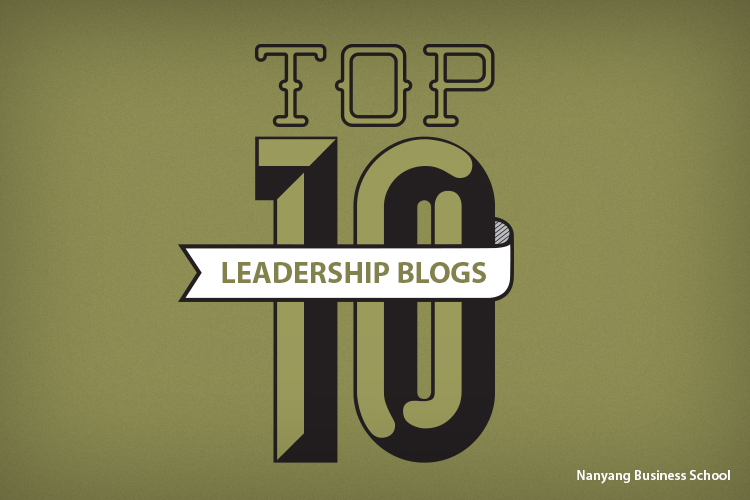 His blog is full of inspiring posts that like to focus on parallels between leadership and other aspects of life. For example, he posted a feature about Olympic stories that could make you want to be a better leader. Naseer comes from a scientific background that gives him a unique approach to business coaching. He aims to help people develop leadership skills by understanding business processes in organisations. Also based in Canada, Sharma writes and speaks extensively on leadership. A former lawyer, he is known for his Lead without a Title methodology. When you read his books and blog, you’ll realise that he cares about developing leadership abilities of employees in different positions at the workplace, so there’s something for you regardless of your role and designation. Kjerulf is the founder and Chief Happiness Officer of Woohoo inc. He is an expert on happiness at work. His blog is regularly updated with posts that share detailed tips on personal growth and much more. According to him, positivity is the key to success. Hyatt believes in helping others, so you’ll get lots of helpful advice on his blog. For instance, one of his posts taught the readers how to install WordPress on a server in under 20 minutes. His posts provide practical tips with clear routes telling you how to go from START to FINISH. His blog covers topics such as productivity, social media and publishing, which is his specialisation. Rockwell has been in leadership roles since nineteen and started his blog with the desire to make a difference in everybody’s lives – every day. Many of his readers say they follow his blog for daily motivation and tips. The concise nature of his posts makes reading easier for busy people like MBA students. This blog is hosted by Aaron Lynn and Thahn Pham, two authors who give advice based on their personal experiences. The tone of the content is fun and goes with its de-stressing theme – using technology to achieve efficiency and reduce stress. This blog will prepare you to use techniques that will enable you to complete work intelligently and efficiently. Mazza started this blog after her father left behind a note to honour his memory with acts of kindness. Thus, Random Acts of Leadership combines the topics of good leadership and good deeds and lets you know how to find success in your career and your personal life. Harvard Business Publishing Corporate Learning partners with its clients to create leadership development solutions. The blog, Leading the Way, brings together Harvard Business Review authors to write about their management insights, thought leadership and expertise areas. This blog puts an emphasis on the latest thinking, research and frameworks that can address all sorts of challenges you could face. Seth Godin is the founder of Squidoo, a website platform that allowed users to create pages called lenses in order to sell products or raise money for charity. Hub Pages recently acquired Squidoo, and Godin continues to blog using his stream-of-consciousness like writing style. His posts are popular for their honesty and conversational structure. Sign up for it because you won’t want to miss his valuable advice on improving performance and understanding all kinds of professional environments. Branson is the founder of Virgin Group, a global business empire with hundreds of companies. He’s been in the news for his unconventional ideas. For example, he’s a supporter of working on the beach or wherever else you can be most relaxed and productive. His blog posts don’t single out a single audience and instead apply to start-ups and traditional businesses alike. It’s your job to stay in touch with the business sphere while you’re balancing work and the MBA life. Realise how lucky you are to have access to such accomplished leaders and let them push you to do your best. Times are changing and they are changing rapidly. Changes that a business would experience over a long span of time now happen at a much faster rate, forcing managers to think, analyse and act quickly. Plus, focusing on the present isn’t enough, with the need to identify future trends and events to the best of our abilities. Change is unavoidable and requires flexibility from organisations and the people involved. Human resources, IT, finance – everybody needs to cooperate and understand that their roles cannot be stagnant. The management plays a major role in supporting initiatives to help the company and its workforce adapt to the new normal. Do you remember life before social media? Well, don’t waste time looking back. Digital breakthroughs have had an impact on every industry, as communication has acquired so many new tools and processes. Experts know that technological change is here to stay and the only way you can come out successful is if you let it do its job and refocus your energies on the other aspects of your role with that additional time. While some think technology will take over human beings in the workspace, smart managers know that it is all about embracing it and working together instead of looking at it as a separate component. There’s been progress in terms of attitudes towards women in business, with leadership positions being filled by females as well as males these days. Additionally, there’s been a big change in the perception of an ideal work life; the current generation is motivated and ambitious but doesn’t think that their careers should affect the other enjoyable things in life. For example, many managers have realised that they can’t retain employees unless they allow them the freedom to telecommute because staying stuck at the desk could reduce productivity. A few years ago, only CEOs could think of taking such liberties. So give your employees the independence and trust to balance their lives. It was expected that you’d join a full-time job after you complete your degree and that you would max your earning around your 40s and then retire at about 60. All that has changed since everybody’s spoilt with options today. There are older people working as consultants after they’ve accumulated decades of experience. There are younger individuals who are starting their own business ventures without even trying their hand at working under a boss. Changing jobs has become more common and switching roles within the same industry isn’t uncommon either. That means that organisations need to learn how to adapt to employees from all kinds of backgrounds, career goals and age groups. The dynamic business environment, today, thrives on innovation. If something new isn’t being created every day, there is a sense of failure. You need to recognise that innovation doesn’t only happen at the top rungs of the corporate structure. Instead, facilitate discussion and brainstorming activities amongst your employees and give them the chance to be heard. Some managers like to create award systems for employees who think outside the basic company guidelines in an effort to make an impact. The bottom line is that the business needs to leave plenty of room for innovation. It is vital that companies continually scrutinise their work environments and work on creating new ways to function without losing focus of their original goals.